Please follow these easy to use instructions to use your rifle hanger. Please remember to adhere to all local laws regarding use and storage of all firearms and ALWAYS keep your rifles away from children and stored with a trigger lock. 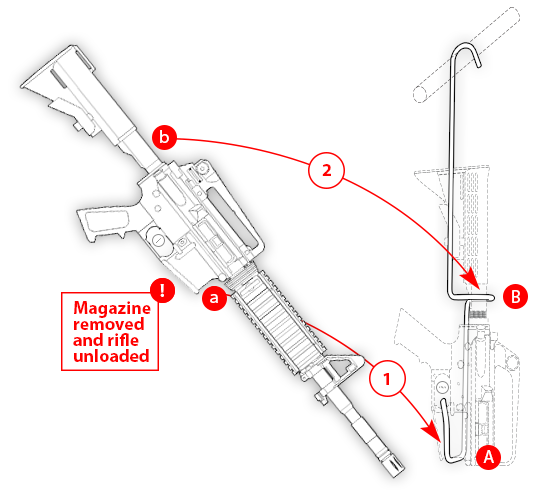 Remove magazine and unload rifle. DO NOT USE AROUND CHILDREN.